Mobile welding and custom fabrication in Steel, Stainless and Aluminum products, based in Langley, British Columbia. Hello and welcome to the online home of Stephan Pawloski, owner and operator of Bushwacker Mobile Welding. 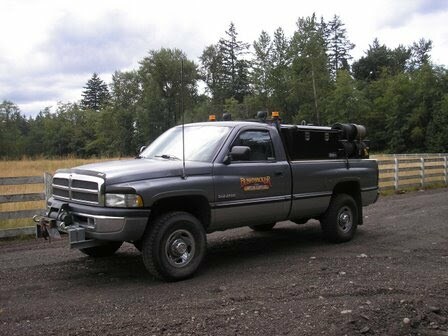 Bushwacker Mobile Welding was launched in 2005 and serves customers throughout the province of British Columbia, Canada. Bushwacker Mobile Welding is a small production company not afraid to tackle unique and one-off jobs and expand as needed to suit customer requirements. Take a look through the gallery pages to see some of the projects and repairs handled by Bushwacker.